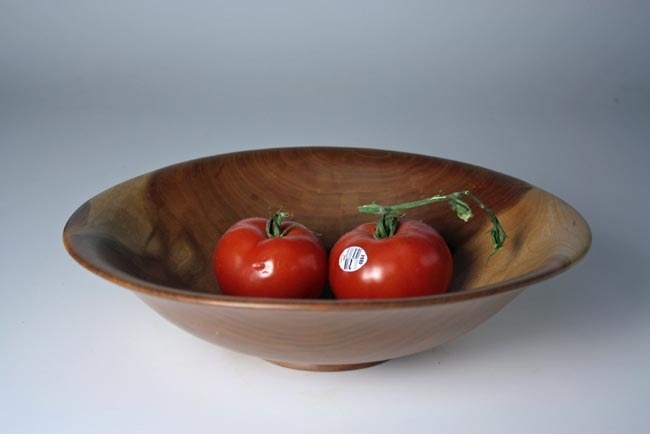 This Black Cherry fruit bowl was a Christmas gift to my wife Lenora in 1997. I like this bowl design for fruit bowls. A flaring rim will hold more fruit and a shallow bowl doesn't hide fruit that may be a bit over ripe and leaky.